-Founding member of Greenpeace, left when the organization rejected his call for direct action. 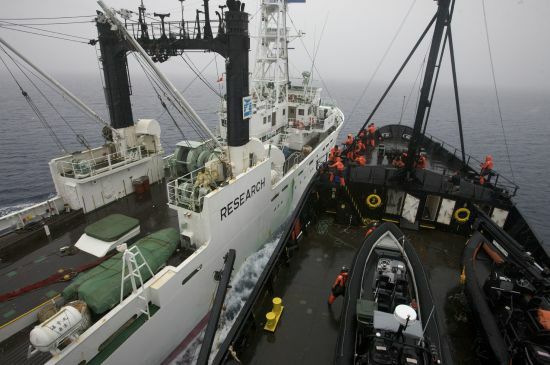 -Founded the Sea Shepherd Society to take direct action against illegal whaling, baby seal harvesting, etc. -Japan is still trying to put him in jail for his successful campaign to end whaling in the Southern Ocean. -The campaigns were televised on ANIMAL PLANET’s “Whale Wars”. -Sank several whaling ships while anchored at port (no injuries) in Iceland. Paul Watson received the Jules Verne Award, becoming the second person after Captain Jacques Cousteau to be honored with a Jules Verne Award dedicated to environmentalists and adventurers. Paul received the Asociación de Amigos del Museo de Anclas Philippe Cousteau: Defense of Marine Life Award, in recognition of his merits achieved by the work done in defense of marine life. He was inducted into the US Animal Rights Hall of Fame for his outstanding contributions to animal liberation. 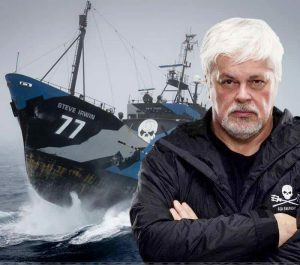 Let us know if you’d like to bring Captain Paul Watson to speak to your organization, campus, or conference!